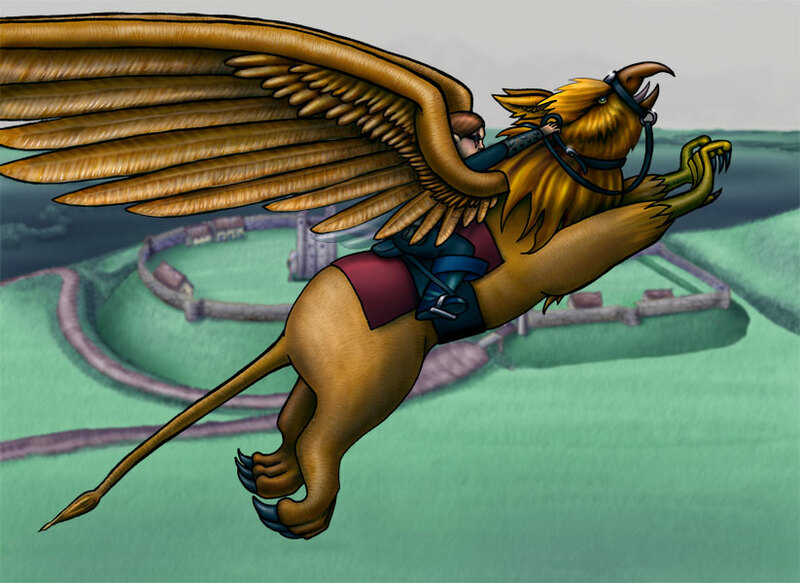 Amuletts mounted on her Gryphon flying over Kasper’s Castle. I have tons of fun drawing this Gryphon so it was naturally one of the things I wanted to put into the WAGON webcomic battle deck. I could have done anything for the background but I decided I’d make it actually relevant! Looks cool anyhow, like they are flying really high. The Gryphon does not have a name by the way so if anyone would like to suggest a name for it feel free. (Male or female or anything in between is fine since it’s not a *real* Gryphon, it’s a magical construct, so it probably doesn’t have a physical gender).